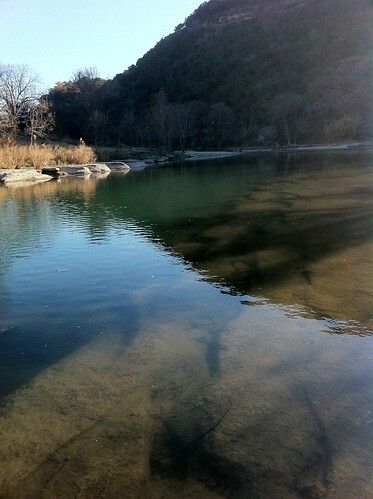 I took a vacation day today to spend some time out on the GRTU lease on the Guadalupe. Although the weather was very different than the last trip, I caught the exact same number and mix of fish: 1 nice rainbow and 1 dinky bass. When I arrived at Site 5 around 10:15a this morning, the water was covered with guide boats. Well, there were 2 of them milling around the put-in but it seemed blanketed by them. It doesn’t seem right to have guides make money off the fish that are paid for by the local TU club. After I got past them, I started enjoying myself. 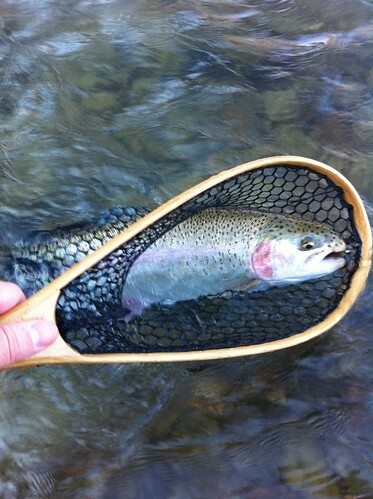 I caught a little bass and then a really nice ‘bow. 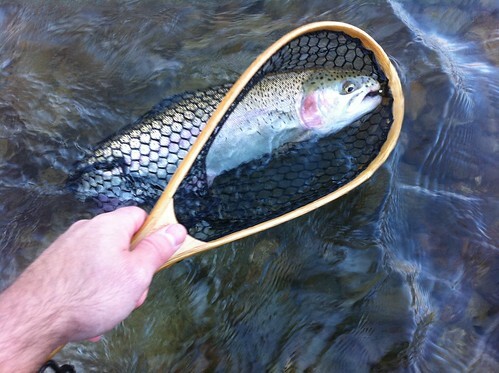 He did the jumps and the long runs and everything that a nice big trout should do. It was awesome. 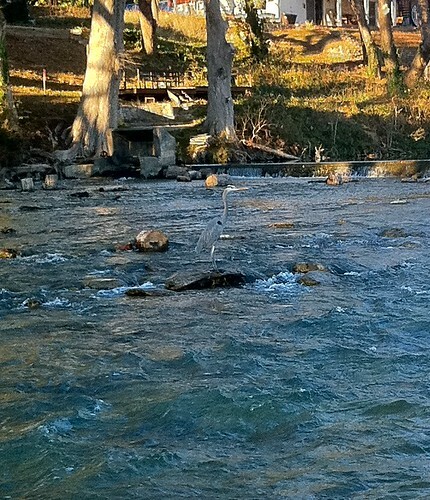 I can see myself spending more time on the Guadalupe.